This will be hilarious. Grab a few friends and get ready to laugh out loud. Use Your Words is the party game for extremely funny people and their mean friends. 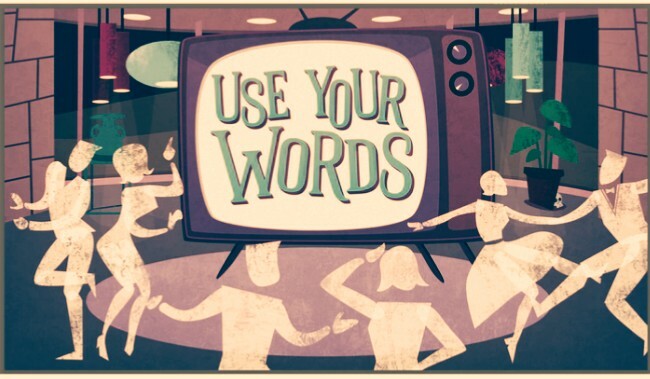 Use Your Words is a game that invites players to respond to a variety of mini-games and prompts with the funniest answers they can think of! Players play using their phones and tablets as controllers, making game-play seamless and quick to pick up. Players who get stumped can use one of the hidden “House Answers” to lay a trap for their fellow players once it’s time for everyone to vote for their favorite.